Back to the beach and fast! We stayed at Antons place for two nights and we got the most luxurious treatment. His mom cooked us one of the best meals we had tasted and Jaroslavl city tour with Anton and his friend Dima gave us good knowledge of the town. When we left we decided to choose the most idyllic and calm cycling road out of the town. But when we remembered that there are no such things in Russia, we were glad that Anton lead us out of the town to the road, that goes to Ivanovo. Good northwest wind continued which meant only one thing, fast progression. Our legs didn’t nearly even feel the 80km we rode. In the evening we found good camping place near a small village. Some guy in army suit from the village came and amazed us a little, but after he noticed we didn’t have common language, he left and we started to gather some firewood, because we knew that it would be a cold night. And it was a cold night. Water would have froze if we had had it. Our throats little dry we continued to village Pisovo, which saturdays easy going feeling and sunshine made us feel good. 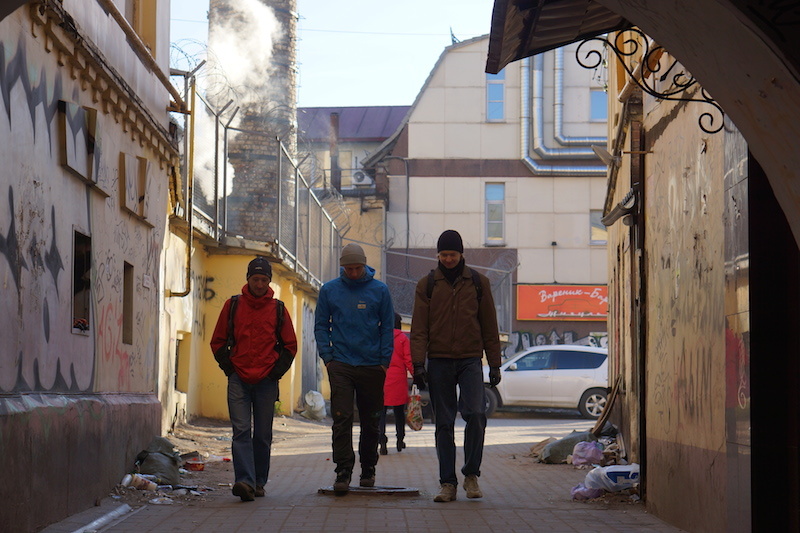 While Antti shopped us some water and bread, many locals gathered around me. They were amazed about our trip and almost with force dragged us to watch their museum. After surprising museum tour it was time for classic tea service and when we left we got a little jar of jam and little magnets of their little village. 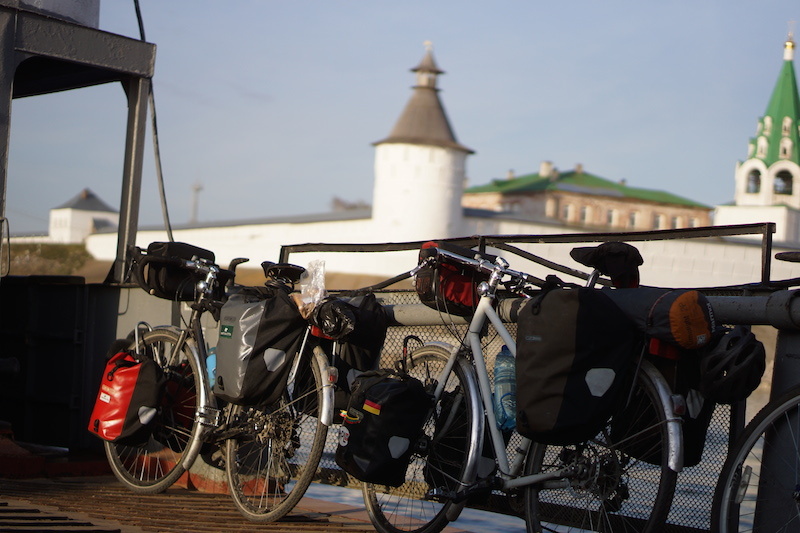 Tea and jam breads still on our stomachs we arrived to Ivanovo, which was surprisingly big. Ivanovos good roads led us out of there quite quick. When we got out, we were starting to get tired and it was time for camping. Cold nights made us to wake up early and put a big fire to warm ourselves and our frozen water. Last shimmers turned into sweat drops while pedaling. Sweat drops increased when truck drivers who were bored to cyclists honk their horns right next to our ears. It was close to rise my middle finger, but with my tiny arms the aftermath wouldn’t probably be so good for me. So, hands tightly on handlebar pedaling continued. While we rode we saw hundreds of warnings about wood fires. When you watch bone dry fields it doesn’t require more than one cigarette thrown from the car, to light up massive amount of wood on fire. 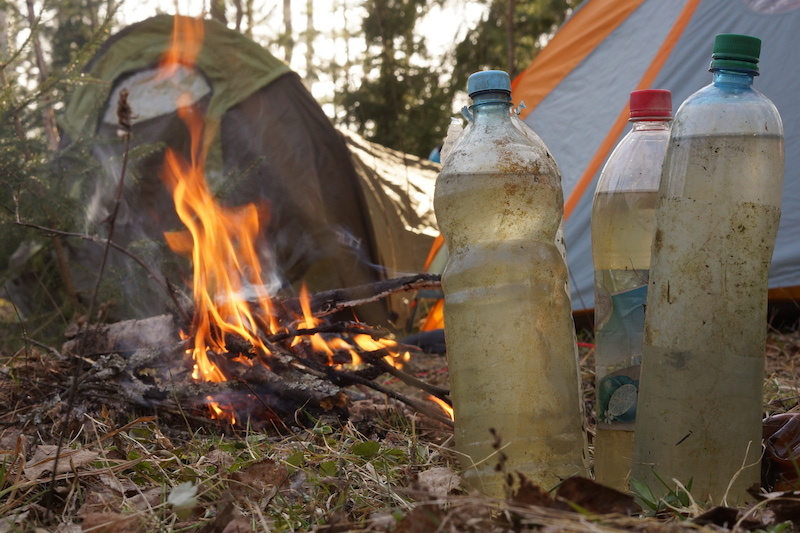 Our bonfire is even riskier, but we always have water filled bottles to ensure, that our cooking won’t torn out to be a disaster. 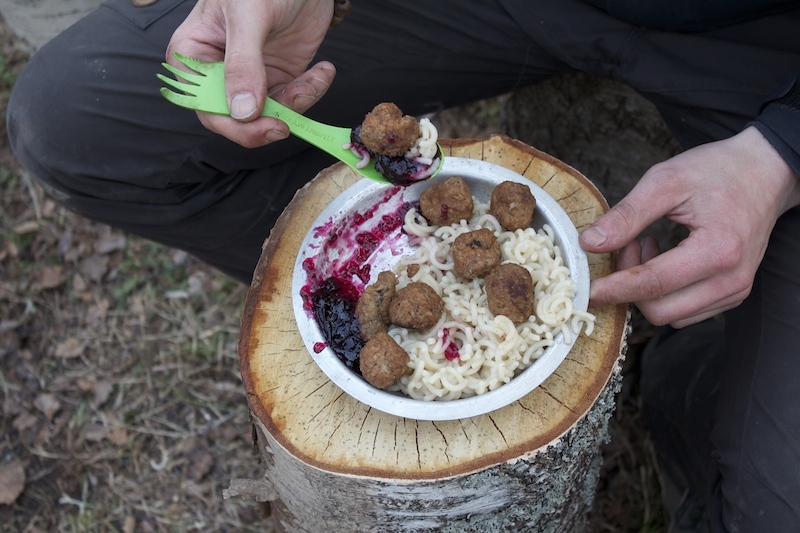 We are also developing as bonfire cookers and meatballs with macarons and jam is not far from Ikeas quality. Our relaxed cooking sometimes wasn’t so relaxed when couple of shotgun carrying russian friends walked right past us. That night good night wishes changed to gun blasts hundred meters away from us. Gun shots ended and we had good night sleep. The morning was weird though. We didn’t have to hurry to pull our frozen solid pants and there wasn’t any ice in our water bottles. Summer had arrived! It was great felling when we didn’t have to warm ourselves in front of bonfire. With great flow we arrived to Nizhny Novgorod, There we hanged in front of one hotel and used their Wifi and eated 19 rubles pies. From Nizhny we were hoping to find a place to sleep which would include shower and wall socket. This huge town couldn’t offer us anything reasonable and camping called once again. The place we chose for sleeping probably was some old junkyard, because in every step plastic water bottle crunched below our feet. But the place was still ok. The day was better than ok, because of great road and amazing views. The top moment of the day was seeing this great Orthodox church at Makarbevo and ferry ride to Lyskovo. In Lyskovo it was quite difficult to find a proper place to sleep but eventually we ended up in great motel. After four days the shower was heaven and we also got visa registration. I’m sure it will help us on future. 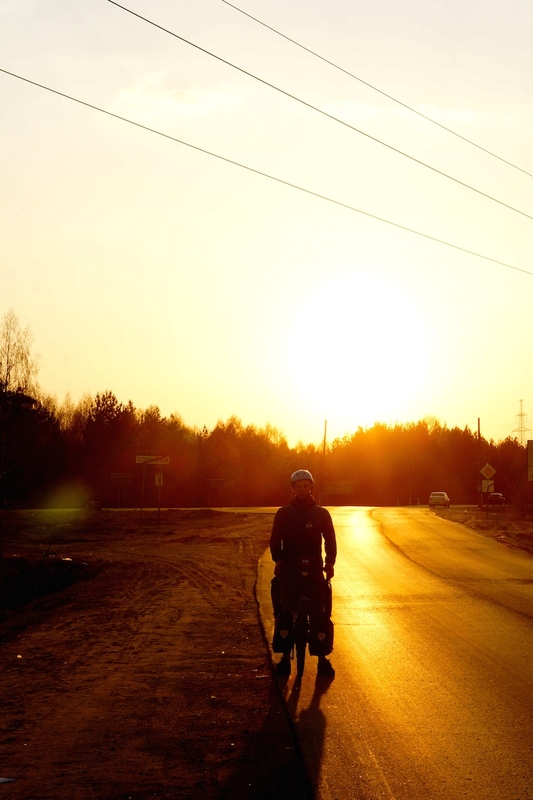 Next day we rode our bicycles in Lykovo and decided to go camping outside the town in the evening. While riding in town many many children amazed our trip and wanted to follow us. It was quite funny when couple of cyclists turned out to some kind of bicycle ”parade”. While Antti bought us food and prepaid internet I said goodbye to the children and our journey continued to Kazan. Enjoying your blog. Will follow it regularly. Good luck from England. I’ve followed your blog since the day one with great appreciation and amazement! You are doing something really extraordinary! Shared your blog at facebook, hope you get attention. Hope you managed to get some more insect repellent, guys – you’ll need it near Omsk. The yellow road from Chelyabinsk (alternative road, to Ishim) is much more interesting, although less towns en route. Shockingly bad in parts, but easier camping and less trucks. Good luck with the visas.